Tracking sales on the fly is a pain because that usually required to login and view details from the backend or admin panel of the website. 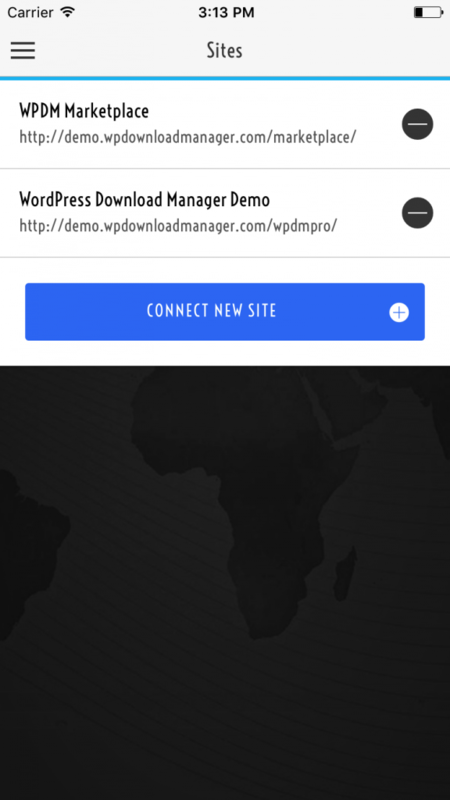 But if you are using WordPress Download Manager, you can easily track your sale with the IOS app of WPDM. 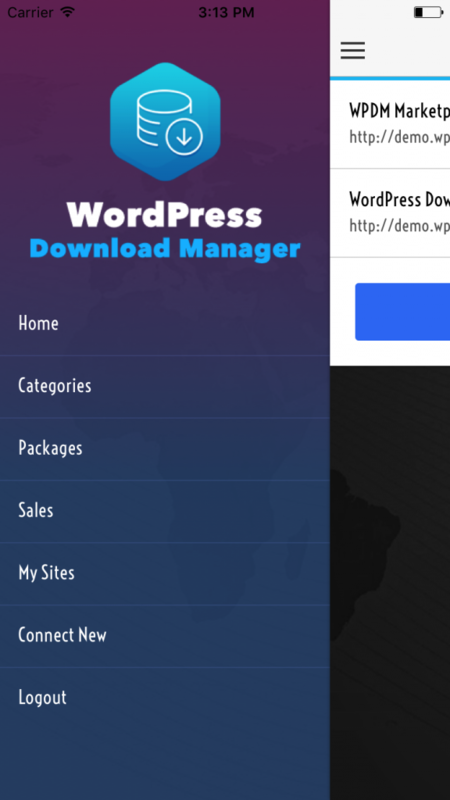 Using WP Download Manager App you can check download stats, sales stats and some other WPDM admin option easily from your iPhone or iPad. The wide range of feature that includes everything that you need to know about products sells and stats. First, you need to configure the API on your website to have remote access to your site from the app. For this, you need to install WPDM API add-on on your website. Assume that you have already used WordPress Download Manager for managing your digital product store. So, The API add-on will enable remote access to your WP Download Manager data from this app securely. Then, you need to connect your site from the app, So Download and Open the app and go to connect new. After connecting your site, you can access see the data from the website in the app. 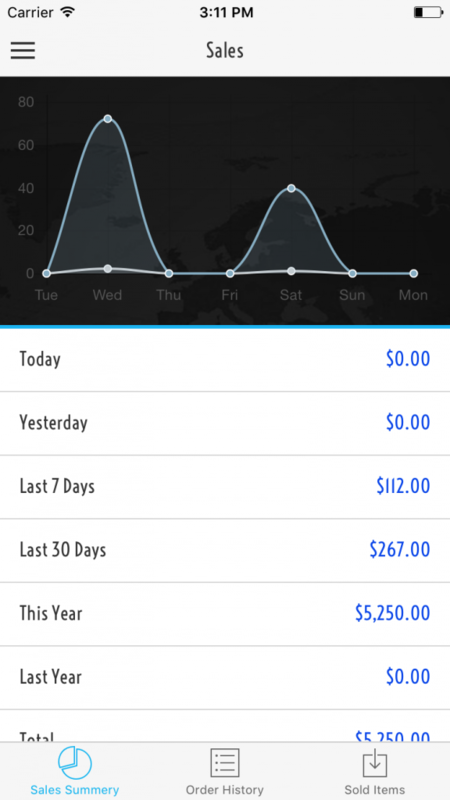 You can find the details sales report with the graph, order history and sold items for any specific date range. You can find the single order details too with the app. 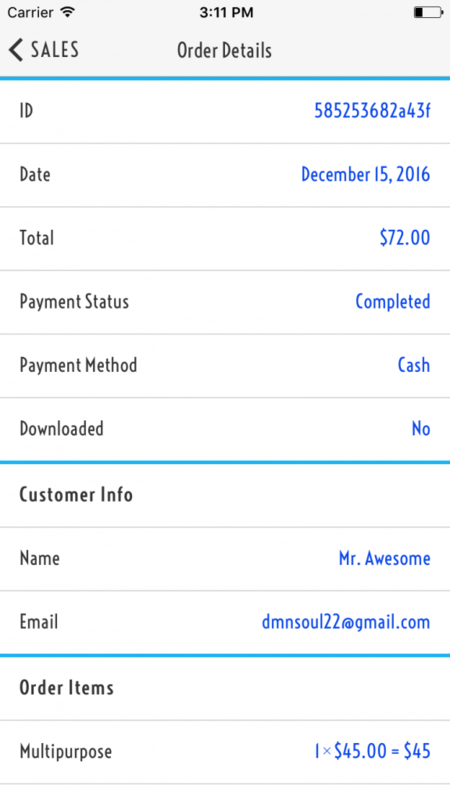 You can check order details like total amount, ordered items, client info within the app. You can also see single package details information with download history and sales history. Get the app today for your IOS device from here.